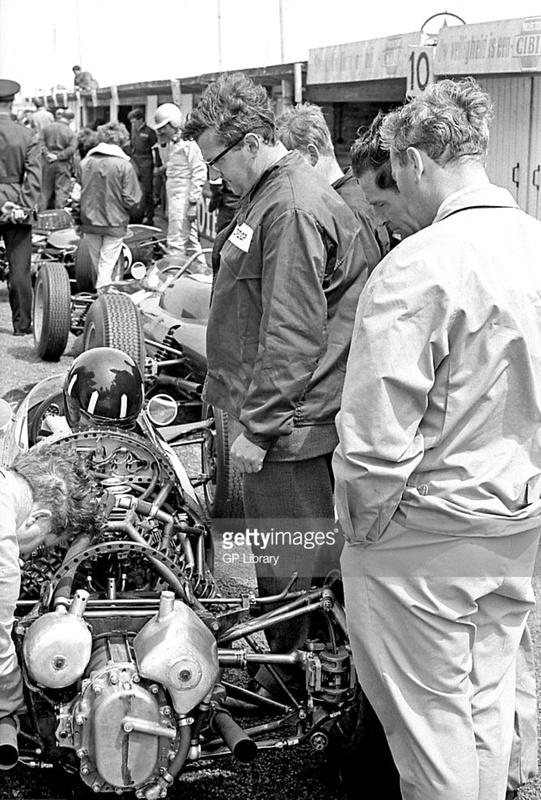 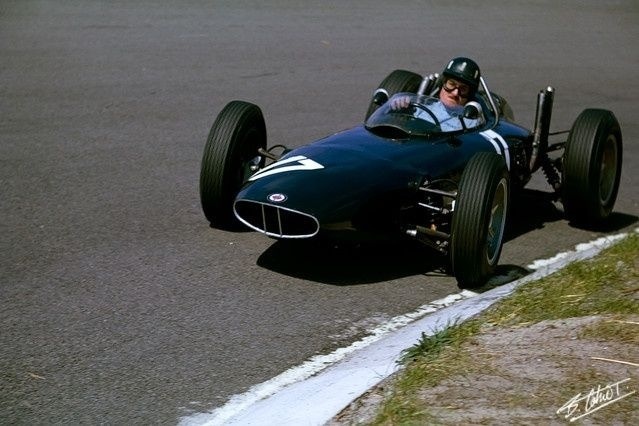 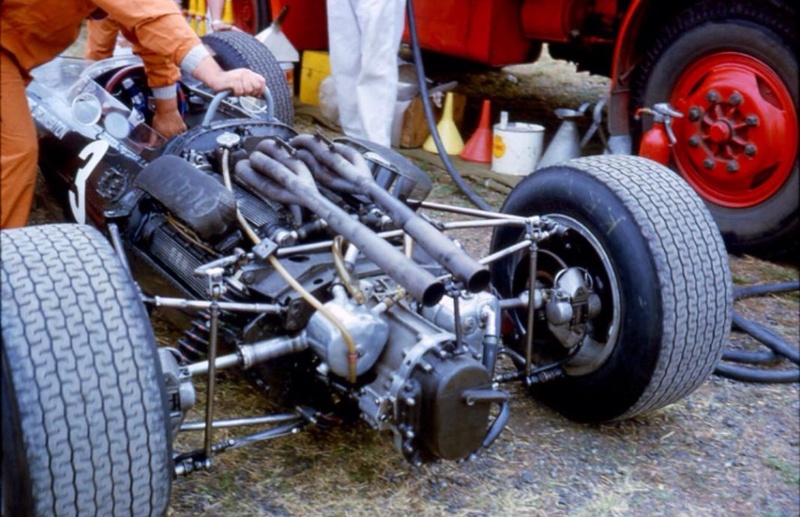 Brooks returned to the Bourne team for ’61, his last in motor racing, it was generally not a happy one racing 1.5 litre Coventry Climax FPF engined BRM P57’s. 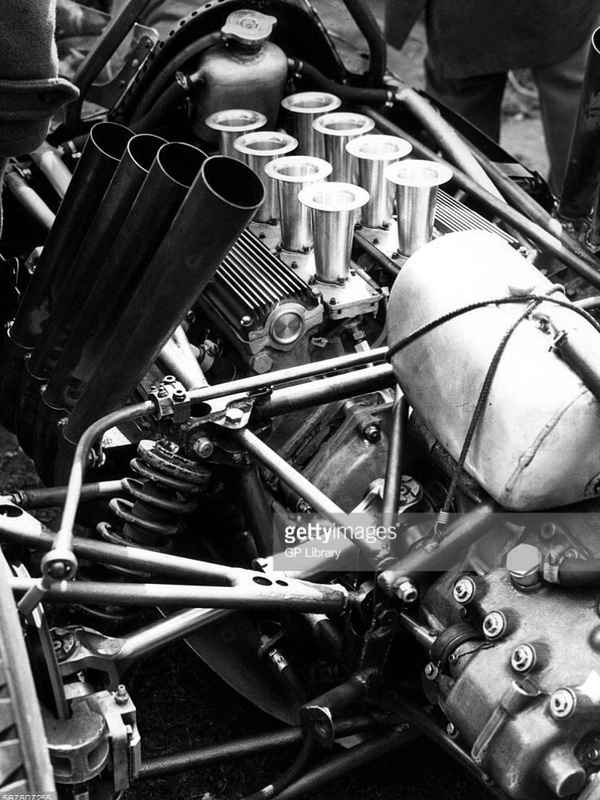 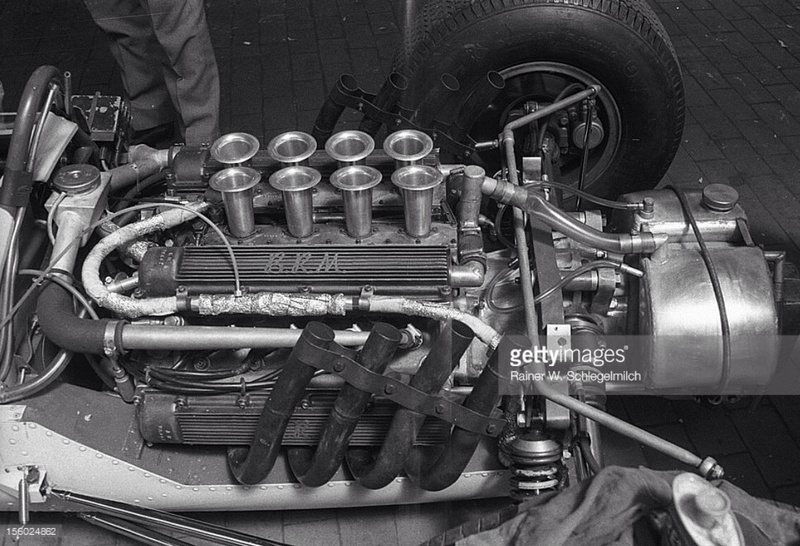 The Bourne teams own wonderful P56 V8 was still a season away. 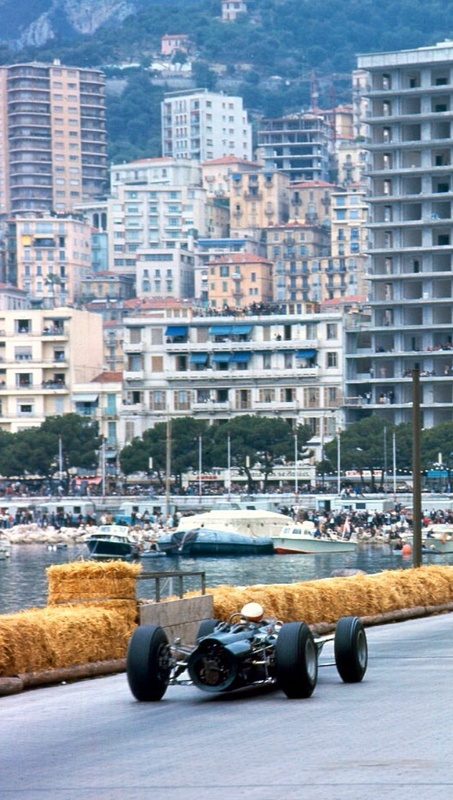 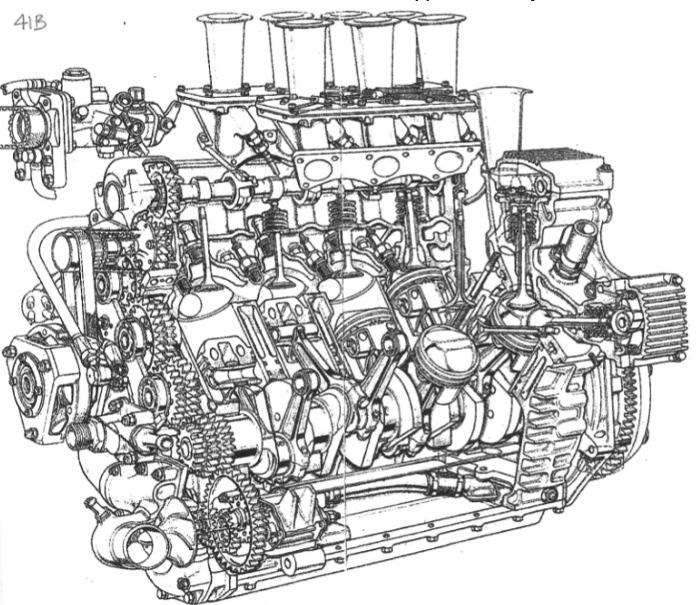 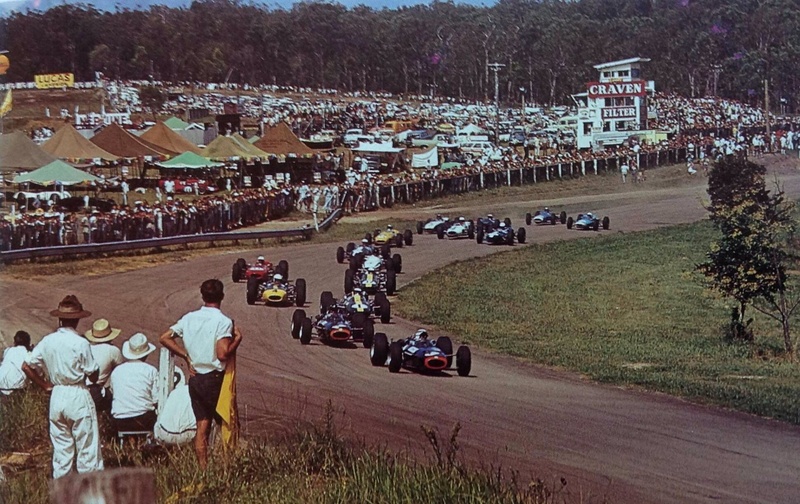 The International Trophy in 1961 was contested to the shortlived Intercontinental Formula, rather than the new 1.5 litre F1. 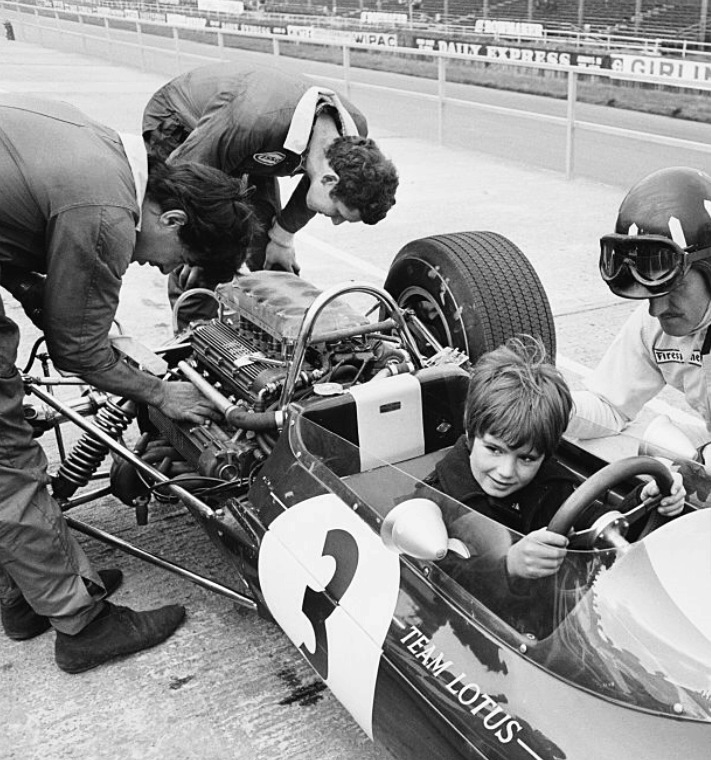 Brook’s joy in driving a ‘proper’ 2.5 litre racing car somewhat dampened, literally, by the horrid conditions in which the drivers raced. 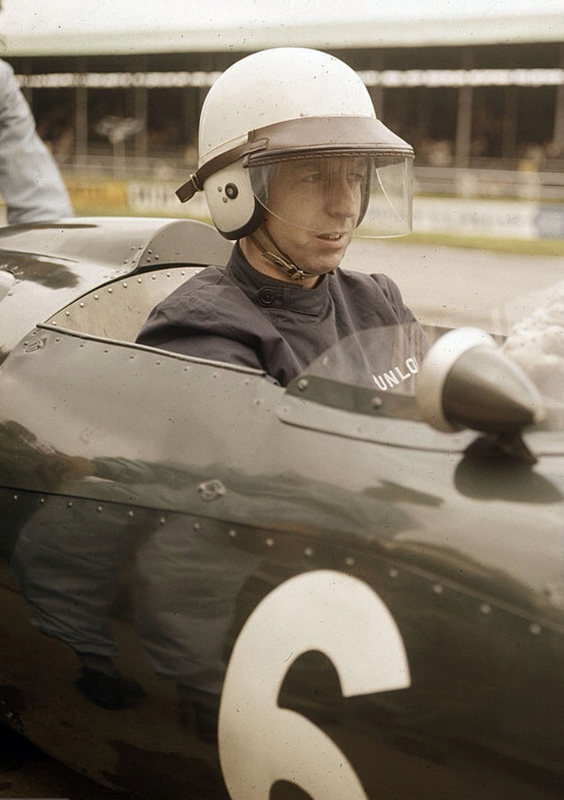 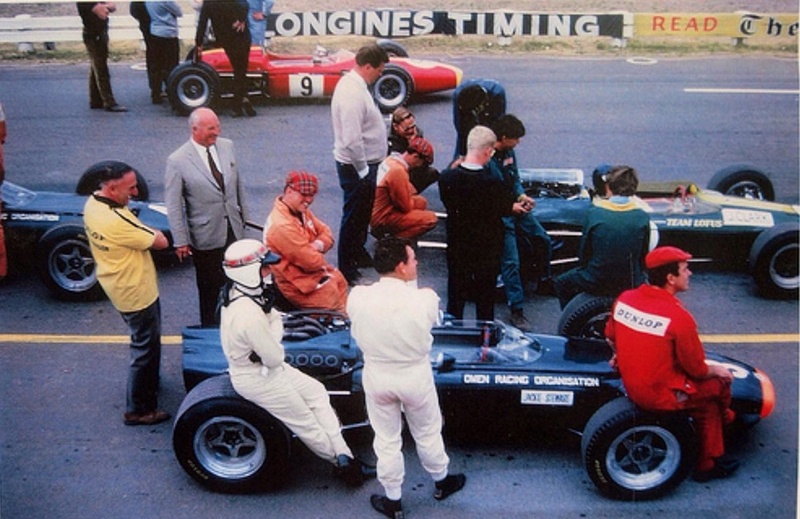 Brooks was 6th in the event won by Stirling Moss in Rob Walker’s Cooper T53 Climax. 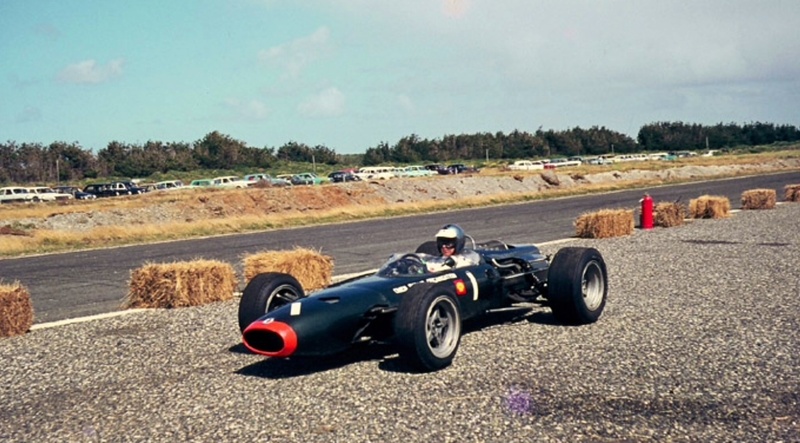 Tony was passed by an inspired Chuck Daigh’s front-engined Scarab at one point, finally re-taking the American’s position during the last lap.